We are pleased to announce the release of the latest edition of CRUcial Times. In this, our 49th edition we explore the topic of Friendship, connection and freely given relationships. We have invited a series of local writers to share personal stories of friendship that have stemmed from shared interests, from being neighbours in community, or from intentionally being invited to play a role in someone’s life. No matter how the friendship kicked off, it is clear that the relationships are meaningful and important to all parties involved. We know that the need for friendships and close relationships is a universal human need; excerpts taken from books written by Australian author and social researcher, Hugh Mackay, are included in this edition help to illustrate the universality of this topic. However, we also know that people with a disability are often lonely or isolated. 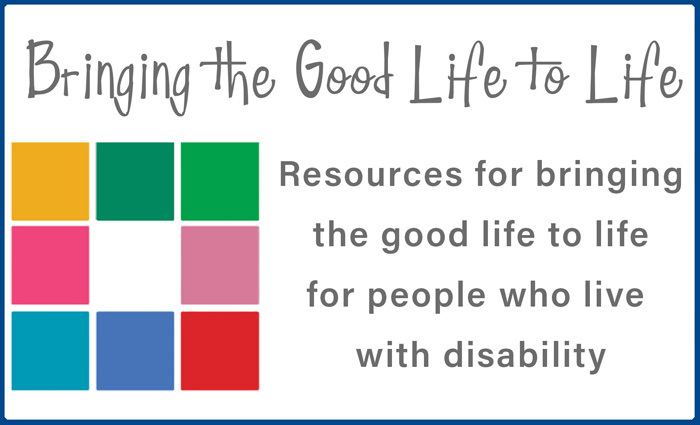 To help stimulate ideas of how to build friendships with and alongside people with disability, we have included two articles that offer more practical ideas of how friendships might be built. One tackles the topic of what supporters can do to assist, and the other describes how concepts from Citizen Advocacy might be borrowed to work at building close connections for isolated people. 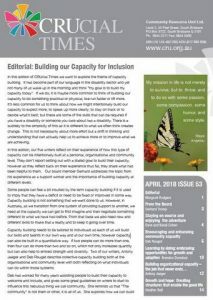 Remember too that there are 48 past editions of CRUcial Times available on our website. We are always interested in your feedback and any suggestions you may have about future themes.